The Columbia Orchestra’s 41st season continues on Saturday, April 6, 2019 at 7:30pm and Sunday, April 7, 2019 at 3:00pm with a family-friendly concert featuring classical favorites, blockbuster hits from Broadway and the silver screen, and the Teelin Irish Dance Company. The orchestra will perform classic movie themes from Harry Potter, The Greatest Showman, and Mission Impossible. Husband and wife vocalists Kimberly Christie and Jason Buckwalter will perform songs from Les Miserables, A Chorus Line, and Guys and Dolls. The orchestra will be joined by Teelin Irish Dance Company for Celtic favorites including Lord of the Dance. Two winners of the Orchestra’s 2019 Young Artist Competition, Lauren Yoon and Daniel Hamin Kim, will also perform. This concert is sponsored by The Vertical Connection. The Young Artist Competition is sponsored by Gailes’ Violin Shop. 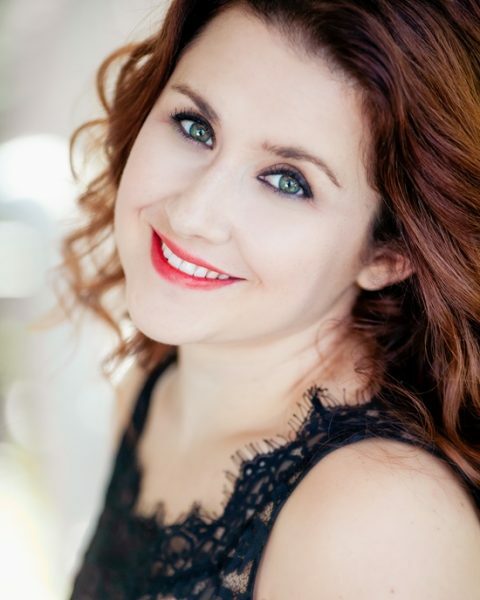 Hailed by The Washington Post as a singer with “uninhibited movement and shining vocal abilities that stood out from the rest,” soprano Kimberly Christie, is a dynamic and versatile singer, equally skilled in opera, oratorio, recital, and musical theater. Kimberly won first place in the 2012 Kennett Square Symphony Competition and in the 2013 Douglaston Tuesday Morning Music Club Competition. Currently based out of Baltimore, she is on the chorus roster of Washington National Opera as well as Lyric Opera Baltimore for whom she enjoys performing outreach shows for schools, retirement centers, senior centers, and other public venues. Baritone Jason Buckwalter is known for his “super-sized characters” (The Sybaritic Singer) and “theatrical fire” (Baltimore City Paper). A native of Landenberg, Pennsylvania, Jason now lives in Baltimore and performs throughout the Mid-Atlantic region. Equally comfortable in opera, musical theater, oratorio, and song repertoire, he has performed with a wide variety of companies including the Washington National Opera, Maryland Opera, Baltimore Concert Opera, Annapolis Chorale, and the Young Victorian Theatre Company. The Teelin Irish Dance Company is known for performances that accentuate the energy of Irish dance with cutting edge choreography. From the graceful beauty of jigs and reels, to the thundering beat of percussive dance, a performance by this company leaves the audience at the edge of their seats, wishing for more! Under the direction of Maureen Gately, there are two troupes of the Teelin Irish Dance Company, each comprised of auditioned dancers. Based in Columbia, Maryland, troupes perform regularly at various venues throughout Maryland and the metropolitan D.C. area including theatres, concerts, festivals, private parties and corporate events. Director Maureen Gately has extensive training in several dance styles, which enhance her mastery of traditional Irish step dance. The Columbia Orchestra Young Artist Competition, sponsored by Gailes’ Violin Shop, has helped spawn the careers of many outstanding musicians including Baltimore Symphony Orchestra oboist Katherine Needleman, Philadelphia Orchestra violist Anne Marie Ahn Petersen, and Colorado Symphony clarinetist Jason Shafer. The 2019 Young Artist Competition Junior Strings Division winner is Lauren Yoon who will join the orchestra for the Ravel’s Tzigane. Daniel Hamin Kim, the 2019 Young Artist Competition Junior Winds Division winner, will perform the first movement of Clarinet Concerto No. 3 in B Flat Major by Carl Stamitz. The Columbia Orchestra thanks Baltimore Washington Financial Advisors, the Howard County Arts Council, the Howard County Government, the Maryland State Arts Council, and the Community Foundation of Howard County for their support. For more information or to purchase tickets, call (410) 465-8777 or visit www.columbiaorchestra.org. Tickets: $28/$22 Adult, $24/$18 Senior, $12/$10 Student. A $3 ticket processing fee will apply.